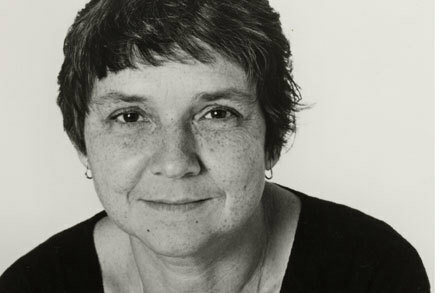 Prolific poet and feminist activist Adrienne Rich passed away last week on March 27. Years ago as a freshman undergraduate, I attended by chance a poetry reading she was giving at my campus. The reading was held in a large auditorium – large enough to hold maybe 500 attendees. As I recall, the room was quite full. In the midst of her reading, a young baby began crying – loudly. Adrienne Rich read on, accompanied by the wails of the baby. A number of attendees began craning their necks in growing annoyance. Where was that baby? Why didn’t the mother have the decency to get up and leave? The nerve – we’re here to listen to poetry! The baby continued crying, and more attendees were visibly looking this way and that, searching for that baby. At last, a young woman, red-faced, stood up with the fussing baby – of course they were in the middle of the auditorium and in the middle of a very long row. The mother began slowly inching her way down the long row, headed for the exit aisle, swaying from the weight of the wriggling and fussing baby in her arms. The atmosphere throughout the auditorium was electrified. The anonymous young woman indeed stopped in her tracks, extremely shocked to be addressed directly by the famous poet. We all stared dumbly at Adrienne Rich, who also seemed a bit embarrassed by her own outburst. The audience was momentarily stunned. Of course, the baby had been bothering quite a few attendees. But in a second, Adrienne Rich had taught us all a vital lesson. A split second later, the whole auditorium went wild with cheers and a standing ovation. I remember this lesson frequently. I certainly remembered it when I was a single parent struggling with my own crying baby at public events and lectures I desperately wanted to attend. I thought of it again when I learned of Adrienne Rich’s death. She really was a poet and feminist who talked the talk, walked the walk, and in surprising ways taught the walk to all of us who could listen, reflect, and understand. Rest in peace, Adrienne Rich. For many years, I used to be an indexer for the Hispanic American Periodicals Index, known by its felicitous acronym, HAPI. Indexes of course are the primary finding tools you want to use when you’re looking for journal articles or magazine articles on your topic. Indexers are the people who page through journals and research materials of interest and describe relevant contents, using pre-defined categories and vocabulary. Produced by UCLA’s Latin American Center, and staffed by volunteer indexers from around the world, HAPI is first place you and your students should look when looking for research articles on Latin American and US Latin@ topics that fall within the social sciences and the humanities. There is also selective coverage of agricultural and some science subject areas. According to their website, the index includes “over 275,000 journal article citations” from 1977 to the present and from over 600 international research journals. The technology world is changing so fast. I think IT workers and librarians are some of the most qualified professionals to note how quickly everything now changes. When I first began my work as an indexer, HAPI was still in book format only – a big, cheery bright orange of a book. When the index went online, they retained their trademark orange and tweaked the name to become HAPI Online. HAPI is primarily a Latin American-focused index, which means that most contents deal with Mexico, Central America, Spanish-speaking Caribbean nations, and South America, including Portuguese-speaking Brazil. Articles in HAPI come from a wide range of respected research journals published around the world that have a Latin American (or US Latin@) focus. 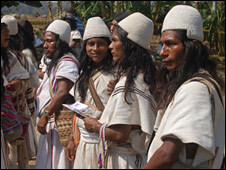 HAPI is also an excellent tool for finding research articles about Latin American indigenous peoples, and Indian cultures and traditions throughout the region. During my tenure with HAPI, I worked with articles published in English, Spanish, Portuguese, French, German, and even Dutch. Much of the work focused on paging through newly released journals on my assigned list, and filling out the indexing forms to indicate author, title of article, name of journal, volume, issue, page numbers, any illustrations, and then assign subject headings working from a lengthy published list of approved subject headings. Subject headings – called “descriptors” in some indexes – are extremely important in online indexes like HAPI that do not provide full-text articles within the index itself. When an index does include full-text, it’s easy to search any terms and find at least some results. That’s because the system is searching all full-text AND citations, looking for your search terms. Serious researchers tend to understand the power of defined subject heading searches. They allow you really quickly to discover what the index has on your specific topic, and you don’t have to wonder whether you missed anything. But what about the Library’s Quick Search? Doesn’t that also search for articles? Yes, it does – but the background of Quick Search is that it hooks up with many but not all of the Library’s subscription databases, like HAPI. Take a look at the list of indexes & databases from which Quick Search pulls its articles. Do you see HAPI listed there? I didn’t think so. Simply put, Quick Search is configured to work with indexes that align well with its own design. HAPI, and other indexes developed by academic research centers or certain publishers, do not align well with Quick Search and thus their unique contents are not accessed or searched when you search using Quick Search. This means that you will definitely want to use HAPI whenever you need to make sure that your search on Latin American or Latin@ issues is comprehensive and current. But that doesn’t mean Quick Search will not have relevant Latin American/Latin@ articles. Other indexes that work well with Quick Search certainly do have some Latin American/Latin@-focused content. For example, the MLA International Bibliography index will certainly include literary criticism and similar research articles on Latin American / Latin@ authors and their works. Quick Search vs. HAPI: So, what if we do a test drive of Quick Search vs. HAPI? We’ll choose a random topic or two and see what we find in terms of research (peer-reviewed) journal articles. Quick Search quickly finds 107 “research articles”, with Quick Search’s menus set to find “Articles” (1st drop down menu) and set to find my terms “anywhere” in the record. (When I do the same search but set the 3rd drop-down menu to find my words “in subject”, Quick Search finds only 1 article. And when I do the original search again moments later, it retrieved only 102 research articles. Quick Search is dynamic, which means results may vary from search to search.) Most of the articles I found seem to come from journals that are in English, and not Latin American in focus, such as the women’s studies journal Signs; the library science journal Collection Management, Studies in Short Fiction, and so on. On the 2nd page of my results, a few Latin American-focused journals begin to show up, including Explicacion de textos literarios; Latin American Literary Review, and Variaciones Borges. 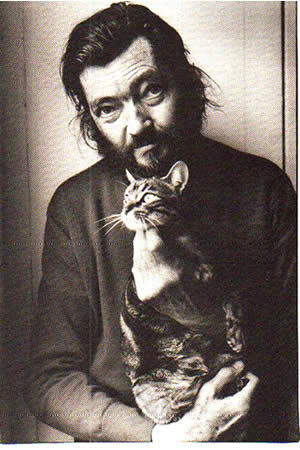 Many of the articles, however, do not seem to be truly focused on Cortazar. Since we’re searching full-text articles in Quick Search, it’s likely many of the articles may mention his name in passing within the text yet not truly focus on literary criticism on any of Cortázar’s works. Of the first 20 results, 16 of the articles were in English, and only 4 in Spanish. When I search only the words criticism AND Julio Cortázar, with the menus set to find “Articles” and my words “in subject,” and set to show peer-reviewed articles only, I find 26 articles. Of them, 24 are in English and only 2 are in Spanish and Latin American-focused research journals. HAPI – since this index uses defined subject heading vocabulary, I searched only the words criticism and cortázar. (With a little experimentation, I quickly see that the HAPI index does not use “literary criticism” as a subject phrase. So I simplify, and drop the word literary, figuring Cortázar and criticism will probably be unique enough in this index.) Turns out I’m right! This search strategy quickly finds 736 research articles. Because we are not searching full-text in HAPI – just the citations and coded subject headings – there is a much stronger likelihood that the majority of these articles are indeed about Cortázar and criticism of his specific works. All of the journals have a strong focus on Latin American research, since that’s the pre-requisite for inclusion in the HAPI index. Of the first 20 results, 14 of the articles were in Spanish; 1 in Portuguese, 1 in Italian, and the remaining 4 were in English. Nice! (Trabalzi, Ferro, & Sandoval, Gerardo. “The Exotic Other: Latinos & the remaking of Latino identity in Perry, Iowa,” Community Development: Journal of the Community Development Society, Jan-March, 2010, Vol.41(1), p.76(16). Interesting, but not focused on our topic at all. HAPI – finds 3 research articles on the whole phrase, Rock en español, which is not an official subject heading in HAPI. A search on rock AND music AND español finds 4 research articles. Journals include Studies in Latin American Popular Culture, Latin American Music Review, and Americas. All 4 articles are in English. Two of these 4 articles were also found by Quick Search. Side note: One of my fun achievements while at HAPI was the establishment of Café Tacvba as a recognized subject heading! I also successfully advocated for the addition of Centro Journal from the Centro de Estudios Puertorriquenos to be added to list of indexed journals. HAPI – finds 153 research articles on the terms Mexican Americans and education. Articles come from well-known & widely respected Latin@-focused journals such as Journal of Latinos and Education; Hispanic Journal of Behavioral Sciences; Harvard Journal of Hispanic Policy; Latino Studies, and more. The articles are all focused on highly relevant topics such as higher education, K-12 education, educational attainment of immigrant children, and so on. Looks like all the first 20 results on this topic are in English. Quick Search – set to search Indians AND Colombia with 1st drop-down menu set to Articles and 3rd drop-down menu set to find my words “in subject,” and filtered to show only “Peer-reviewed articles,” Quick Search finds 19 articles, 1 of which is listed twice in the results. 13 of the unique articles are in English, with a few – such as an article on the Garifuna diaspora in New York City and Honduras – that seem not to be on our topic at all. Turns out that article popped up not due to subject headings (odd, since the search was set to look only in the subject areas!) but due to a misspelling in the full-text that refers to “…pre-Colombian [sic] civilization in the Americas”. Most of the articles retrieved are in English, with a small handful in Spanish. HAPI – finds 34 research articles, many with a strong focus on contemporary issues including displacement by the petroleum industry; internal migration and displacement due to national violence and instability, biodiversity and ecological concerns, and other topics. Other articles focus on traditions, specific cultures, and histories. Of the 34 articles, 23 are in Spanish, 10 are in English, one in French. Results? Well, I’d say that searchers content on finding/using something/anything, maybe Quick Search is okay. But if your Latin American/Latin@ research really matters, and especially if you’re looking for research articles in Spanish, you’ll want and need to use HAPI. Interlibrary Loan – shout out to my good colleagues in the Interlibrary Loan / ILL office. It’s true we will not own every journal indexed in HAPI. Few if any libraries across the nation do. Just use our fabulous ILL services and you should have your article delivered to you – most likely via email – within a few days. Finding HAPI – So, how do you find HAPI to recommend it to students & ISU colleagues? Go to the eLibrary’s Article Indexes and Databases list, and you’ll find it listed there by name. Give HAPI a whirl, and enjoy!! In times past, browsing through the stacks of a library often led to wonderful, serendipitous discoveries. And while it still does, in our networked world today, linkages between various and disparate digital systems lead us to similar experiences that we could not have even imagined just a few years ago. My serendipitous journey today started with a library index – no longer a stand-alone database or print index, but networked and available online via our Library subscriptions, under Article Indexes & Databases. It’s been a while since I’ve used Bibliography of Native North Americans, the major index for finding articles, books, and reports on American Indian studies, so I thought I’d give it a whirl. The current vendor / interface our Library has is from Ebsco, which is probably good news for many undergraduate students since they’re likely to have used or at least seen other Ebsco databases in their high school, public library, or here at ISU. Ebsco presents the same uncluttered, easy to use interface with a calming blue palette in each of its databases. I did a quick no-frills search and immediately found an article I wanted to follow up on: “Native Avatars, online hubs, and urban Indian literature,” by Gabriel Estrada, published in Studies in American Indian Literatures (SAIL) in Summer 2011. I’ve been interested in computer-assisted instruction for years, so this one (avatars?) caught my interest. There are no full-text articles in BNNA itself since it is a citations and brief abstracts only type of index, but the Library’s handy Get it@ISU button does the sometimes hard work of tracking down full text or print for you, in a matter of seconds. Search the index, find a citation of interest, then click the Get it@ISU button. So, my next step was to click the little button and invoke the software to do my old-fashioned library research for me. Next stop: Project MUSE. Turns out the Library has full-text of SAIL via our subscription to Project MUSE, one of the first big collections of full-text journal articles, with a strong emphasis on journals in the the humanities. It wasn’t too long ago that there were no American Indian studies journals available full-text, but… happily, times change. Next stop: Second Life. (Here’s a quick Wikipedia entry on SL in case you’re not familiar with it.) I’m always interested in seeing how college instructors and professors are using virtual worlds like SL in their classroom-based research and their teaching. I’ve seen numerous examples of SL used for world languages & cultures, as well as detailed 3D immersive constructions of the Great Wall of China; Mont Saint Michel; a Virtual Harlem and its sister project, Virtual Montmartre; the Sistine Chapel; the Instituto Cervantes, a virtual Hajj to Mecca; a number of women’s studies classroom initiatives, and the Smithsonian’s Latino Museum, to name just a few. In Second Life, I was able to walk around in an immersive fashion with various elements of the story, being instructed along the way by a narrating Grandfather, plus well-placed notecards, web links, and various interactive learning objects. 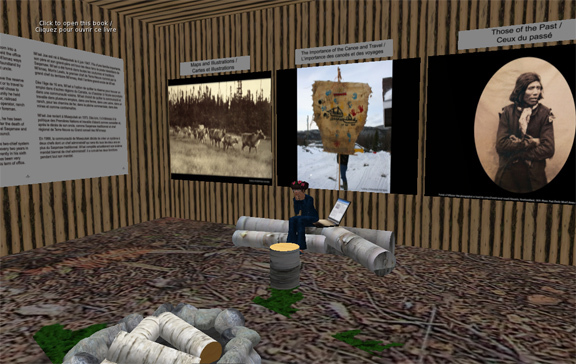 Here’s a picture of me sitting in Chief Mi’sel Joe’s hut, surrounded by interactive slideshows, maps, web links, and ebooks. You can see they also thoughtfully provided me with a laptop computer! Through the design of the site, students and visitors are able to learn and experience the significance of the story through this innovative partnership of the Miawpukek First Nation of Conne River, Newfoundland and Labrador with Memorial University. It will take me quite a while to explore the immersive world of Muinji’j Becomes a Man, learning as I go. I can’t help but look back in wonder: just the relatively short time I have been a librarian, how far we have come in our quest to preserve knowledge and information, and make it available as effortlessly as possible to our users. So many things are just a few clicks away! Research libraries and the world of information have changed rapidly in the past decade, and we can expect ever accelerating changes to continue. One of the core facets of the job responsibilities of a bibliographer is to collect, for use of others, relevant – interesting – important – books and materials. I arrived at ISU the summer of 1995, recruited to serve as the library’s first-ever bibliographer in the newly created subject areas of race and ethnic studies. I discovered barely-there collections in African American studies; an American Indian studies collection focused primarily on anthropological non-native perspectives, and close to total absence of US Latino and Asian American materials. I insisted on the creation of separate fund lines to support acquisitions in each of these areas, along with an area I called “general diversity” – which I used to support acquisitions of materials related to other US ethnic and cultural groups (e.g., Arab American; European-descent ethnic groups; Jewish American cultural studies) and materials related to broad multicultural issues. Sometimes, first acquisitions stick with you. I remember my first orders for ISU were the video Black Athena and the Centro Journal from the Centro de Estudios Puertorriqueños. (My first order at my previous institution was also the Centro de Estudios Puertorriqueños journal. I was a Latin American bibliographer at that institution – but curious how some gaps remain the same!) Since that time, I’ve acquired thousands of books, media (videos; dvds; cds; online indexes & databases, ebooks), journals, encyclopedias, atlases, microfilm, newspapers, and much more to support ISU’s research and learning & teaching needs in race & ethnic studies areas. My job responsibilities have changed quite a bit as my career trajectory moved into the areas of learning and teaching. I am the library’s head of instruction now, but remain a bibliographer as well – still collecting in all the race & ethnic studies areas except Asian American studies, which is now handled by a colleague. In these days, much of the personal art of collecting has become a highly automated process. Books of pre-defined interest arrive automatically and no longer require individual yay-nay decisions from me. (I defined the parameters of the types of books desired, so in theory that one macro-decision should suffice in this new age of automated collection building, right?) The weekly ritual of personally handling and inspecting (browsing – reading – sniffing – admiring – getting to know) each new title is long gone. Collection development is largely done online now, browsing online slips of book titles, prices, and abbreviated subject lines. A click of my mouse initiates the chain of acquisition and signifies my digital affirmation. Impersonal. Non-tactile. Far removed from the actual object. I love the immediacy but do miss the days of the personal art of collecting. The collections I build are for use. This blog is meant to help acquaint you with new titles, trends, issues.